The Long Law Group, P.C. Toni Y. Long is a partner and founder of The Long Law Group (LLG), a boutique law firm specializing in Corporate and Entertainment transactional work. 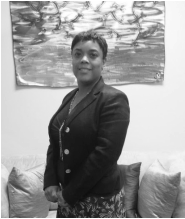 Ms. Long holds a Bachelors Degree from Stanford University, a Juris Doctorate from UCLA School Law and she founded LLG in 2009. LLG's Corporate practice focuses on corporate governance, maintenance and formation, real estate, asset purchases and sales, securities, and other corporate issues, as well as serving as general corporate counsel. Since founding the firm, Toni has collaborated with other attorneys and counseled clients on complex M&A and financing transactions totaling more than $400 million. She advises a broad range of business clients, from sole proprietors to emerging businesses to not-for-profit institutions to small, middle-market companies (revenues of up to $50 million), in a variety of industries, including film, television, music, gaming, new media, eCommerce, commercial and investment banking, insurance, oil and gas, aerospace, retail, manufacturing, agriculture, transportation, consumer products, restaurants, health care, software and technology, fashion, marketing, and public relations. While in law school, Toni clerked in the legal departments at Occidental Petroleum Corporation, Dunk.net (Shaquille O’Neal’s online start-up company), and Universal Music Group.